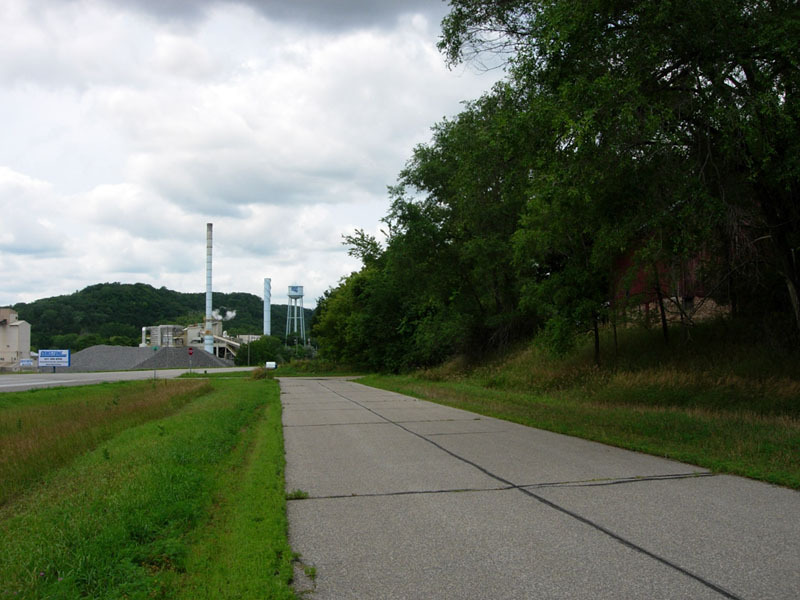 Located: Adjacent to the Cem-Stone Plant on the east end of Red Wing along the north side of U.S. 61/63. 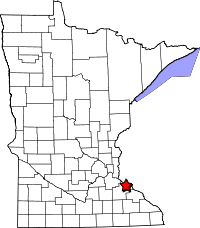 Wacouta Township, Goodhue County. 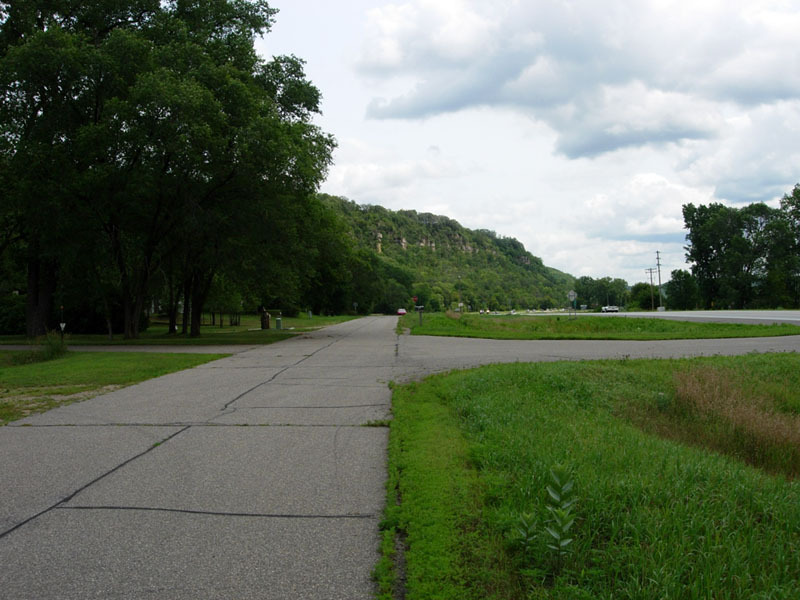 Historic Context: Early concrete-paved highway constructed by the Minnesota Highway Department. Constructed: Graded in 1924, paved with 18' of concrete in 1925. Bypassed: 1954, by construction of a new alignment. Status: Intact and open to traffic as a service drive. 0.25 miles repaved, 0.65 miles with original concrete pavement exposed. 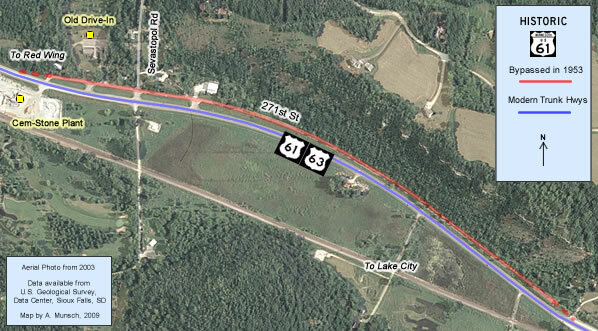 Access: Four access points directly from U.S. 61/63. 271st Street - a service drive located along the north side of U.S. 61 just east of Red Wing - was once part of the original paved highway to Lake City. It was graded in 1924 and paved with concrete, 18 feet wide in 1925. 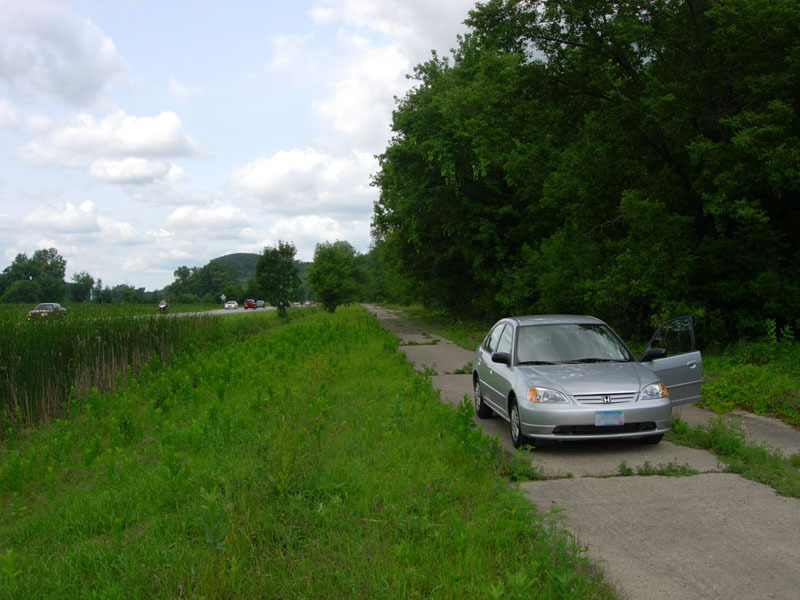 The original road here was bypassed in 1953 as part of the reconstruction and modernization of the highway between Lake City and Red Wing. Left behind as a service drive, it now provides access to Sevastopol Road. 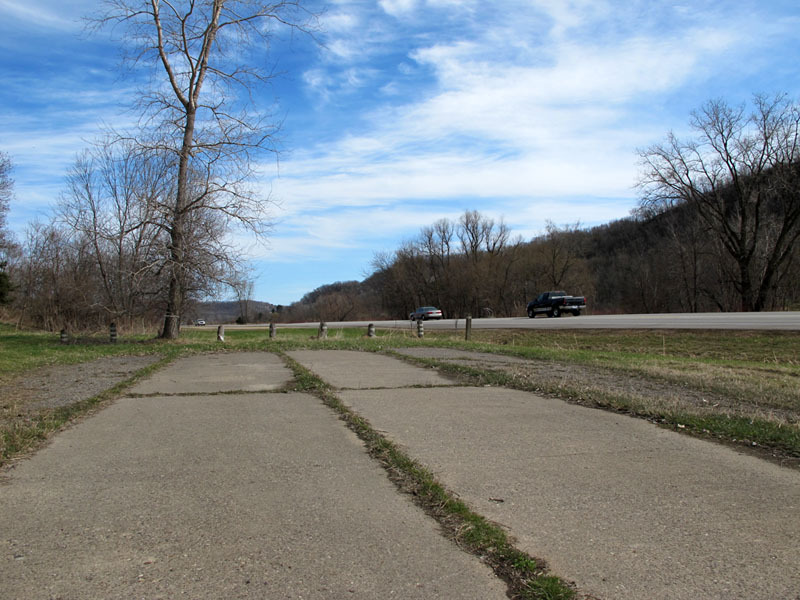 The original concrete pavement still survives on the east end, extending for nearly a mile until it dead-ends A drive-in theatre once existed on the west end, but has since been replaced by a church. Looking west towards the end of 271st Street. The west end of the highway has a light seal coat over the old concrete pavement. Also note the Cem-Stone plant ahead. 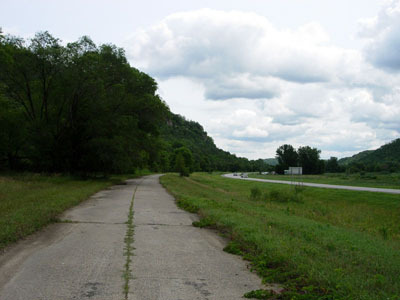 Looking east, with modern U.S. 61/U.S. 63 on the right. The east section of the old road has its original concrete pavement exposed and intact. Although the road doesn't lead anywhere, there are no barriers or closure signs. The east end of 271st Street. There was once another entrance here, now removed. Looking back to the west with my trusty Civic for scale.